Going out to try some new .410 shotgun shells today. Buffered buckshot rounds for Coyote hunting. These are made by putting .375 buckshot rounds in a Winchester 410 wad and then adding a talcum powder. As you add the powder you vibrate the load on something small like a norelco razor – just enough vibration to sift the powder in between eac round. What happens is that the powder takes up the empty space between the buckshot pellets and when the .410 shotgun is fired the pellets do not deform and hence do not fly erraticaly in flight. I will let you know how they turn out. 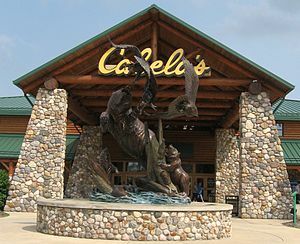 We have been finding alot of good deals at Cabela’s lately. These .410 Winchesters are great for your reloads – and the price is right too. Let me know if there is something you cannot find for your .410 and we will research it for you. At $14.37 a box of 25 that is a good deal! Reload them 5 times and you really can save.